I’ve been playing guitar my whole life and our home was full of great music. I recall the time when I heard Topi Sorsakoski & Agent’s song “Kaksi Kitaraa” coming from our stereo system and it hit me like ten thousand volts. I thought to myself: “What’s this? What’s that guitar sound? Why does it sound so beautiful? Why it sounds so melancholy and sad?” That was time before internet so I looked the CD cover and saw that it was and old folk song but Agent’s guitarist Esa Pullianen had re-arranged it. I wrote this blog about Esa Pullainen’s guitar sound because in my opinion it defines what’s “Finnishness”. And of course the band “Agents” is topical subject today and they released magnificent record with Ville Valo two weeks ago. So, why Esa Pulliainen’s guitar sound defines what “Finnishness” is to me? Firstly, his guitar (Fender Stratocaster) is blue and it has Finland’s flag-sticker on it. Secondly, you just have to listen how his guitar weeps, moans and groans so insolently. Mr. Pulliainen uses his Fender Stratocaster as a brush and paints beautiful landscapes with his signature sound. And while he lets his guitar sing, you can imagine all the beautiful things about Finland: forests, lakes, fields, mountains, winter, summer, spring, autumn, etc. But it also sounds sad and melancholy at the same time. And that’s why when I think about “Finnishness” I think about Esa Pulliainen and his guitar sound. It’s simultaneously so beautiful and so melancholy. Just like Finns. If you ask from foreigners about how Finnish people are like, they can give a many different answers, but the main things, what I have noticed so far is that Finnish are quiet and honesty. Quiet reflects almost everywhere in our lives. You can see it in your everyday life. When we are waiting a bus on at bus station, people keep a little distance to the others if they do not know each others before. That way you can easily avoid a conversation with strangers. We may not small talk to strangers for instance if we ask directions to somewhere. We are not small talk folk! The silence reflects also to environment. Walking in nature or being home, you really can notice that we love silence. Many people go to relax to the forest and enjoy fresh air and silence. There is nothing more relaxing than enjoying a good relaxing walk while you can thinking about your stuff or whatever you have on your mind. Even if you are in city centre in the middle of the day, you might feel the peaceful atmosphere. On the other hand, there’s a large difference, when Finnish drink alcohol. Then we turn out to be very social and every person we meet is our friend. It can be a quite odd to foreigners to see two totally different sides of Finnishness. It doesn’t matter, where you come from or who you are. You are then one of the others. We could say that the best way to get to know to Finnish is having a beer with them. Being Finnish means also that you are supposed to be honest. In most cases it’s true. Of course people are different and some of us are not honesty. Though, we like to consider ourselves honesty. It has both positive and negative aspects. For instance, if they have an appointment, they are on time. Being on time shows respect to the other. Also, when they are talking, they get straight to the point, which may be a reason, why we don’t have a skill of small talk. 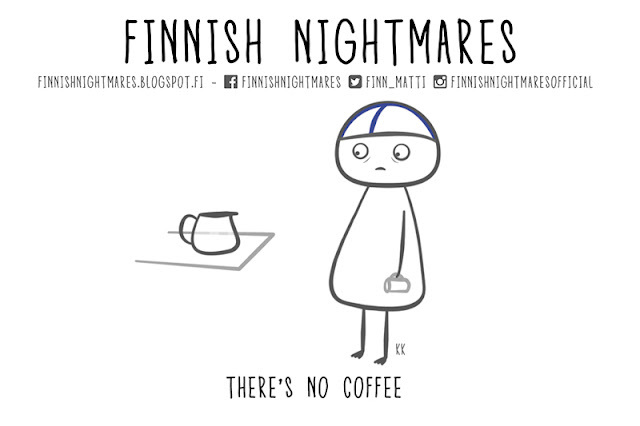 There’s a reason, why foreigners may feel Finnish are sometimes rude. Being honest means also you will get the straight answer whenever you ask something. Usually it doesn’t matter if you know the other person before or not. We don’t like to mince words. If you have something to say, it’s better just say straight than wonder afterwards, what you should have said. Even though we say things straight, it doesn’t mean we are rude. We just express our opinion whether it sounds rude or not. Finland. Finnishness. Finn-ishness? A Finn can freely describe themselves as hard work-ish, talkative-ish, sport-ish. However, we have a great tendency not to put ourselves fully out there. We find it uncomfortable to label ourselves into something too specific, especially if that something could, in any way, be understood as something admirable. No Finn has ever said that they are good at something, maybe good-ish but definitely not good or great. We don’t like to put ourselves to a pedestal. You can just picture a Finn responding to a reporter after winning the Olympic gold medal saying “well that went pretty well”, or as the Finnish F1 driver Kimi Räikkönen well put before a race “I’d rather be probably out of second and third place so I don’t have to go to the prize-giving”. Finnish people sometimes feel inadequate in front of the big world stage. We’re always interested in what other people think of us. Our culture’s DNA has a certain kind of self-regulation encoded into it making it difficult for us to shine as the main star. We are great workers, reliable people and over all else, we achieve as much, if not more, than all the big players in the world. A great amount of inventions and cultural aspects affecting the whole world have originated in Finland. There are even many fields where we continuously hover around the number one spot in the whole world: education, healthcare, technology… We Finnish people deliver it all. For a nation as small as Finland that’s an astonishing feat. We might be hesitant over labeling ourselves most of the time. However, there has always been one thing which “-ishness” we aren’t ashamed of and will proudly declare ourselves as such. We are, and will always be, proud Finnish people, no doubt about it. We are proud of our country, we are proud of handling the coldness of the north, we are proud of being a tiny nation. That is something no one will ever be able to take away from the Finnish people. One thing that sets us apart and builds on what can be considered “Finnishness”, is our unannounced respect for other people. Of course there are always outliers, every society has its share of people who lack mutual respect, but there still lies an almost subconscious habit of keeping and giving personal space to one another. A feeling that makes us try and not to be a bother to others, even up to the point of sometimes being afraid of it. We don’t greet with cheek-kisses, we don’t sit next to people on the bus if there’s an empty row available and we most definitely don’t strike conversation with strangers – not that we don’t like them, but because we feel like they might be bothered or thinking about something really, really important. Not every Finn likes ice hockey or sauna either. 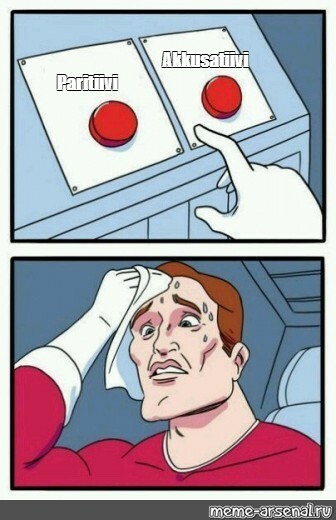 And being Finnish doesn’t mean you have to live up to the exaggerated reputation of being introverted and afraid of change. That’s why I think Finnishness stems more from what kind of people we are rather than what we do, our values, and our ability to take the best out of the worst situations. On the contrary to what others commonly say, I do not think that Finns are slow to open up or skeptical towards other cultures. We just happen to have this stubborn, serene piece of home inside all of us that we won’t trade away so easily, a piece which keeps us level-headed and appreciative of the simple comforts of living. Nothing like sitting indoors on a dark, wet November afternoon and realizing you’re happy just because you’re at home. Also, we have Santa Claus and a dark sense of humor. Maybe an unfair advantage? Culture is, in many ways, subjective. People view and experience it differently and there are as many aspects to a culture as there are people in it. There is no right answers or definite truths, and even the most common traits in a culture don’t apply to everyone. The following things, however, are my thoughts and feelings about “Finnishness”. This is one of the things that keeps surprising me over and over again. Most Finns take being able to walk around big cities at night for granted and they don’t think anything of it when the bag they left to their seat in a restaurant is still there when they come back from a bathroom break. We trust that we can live our every-day lives without having to fear for our safety or the safety of our belongings. This, however, is not the case in many countries. The more I’ve travelled the more I’ve realised how good things are in Finland. I have witnessed street fights, heard countless stories of harassment and even know a person that has been robbed at gunpoint. In Brazil, I couldn’t hold my wallet or phone in my hand while travelling by car, because that would’ve made us a likely target for robbery. This would’ve never crossed my mind in Finland because things like that rarely happen here. So yes, safety is an important part of the Finnish culture and I am very thankful of it. When somebody makes you a promise in Finland, it usually means you can at least trust that they are going to try their best to fulfil that promise. In many cultures, a negative answer in customer service is unacceptable. This means that even if they know they cannot help you, they will still tell you otherwise. As a Finn, I find this silly. I’m used to getting a straight answer and I much prefer to be told so if something isn’t possible, instead of waiting around for something that is never going to happen anyway. Small talk is also not popular in Finland. You speak when you have something to say, but there is no need to fill every silence with meaningless chitchat. Not to say that small talk isn’t a good skill to have in some situations, but sometimes it’s good to be able to enjoy the peace and quiet. This is one of the biggest and most important things about our culture, people are equal. Sure, there are still many things we can and should improve in order to be truly equal, but compared to most countries, Finland is a truly great place to live – no matter your gender, age, race or sexuality. As a woman, I’m truly thankful to have been born in Finland. Every culture has its pros and cons, and there are things in my culture that I’m not so fond of. However, I love my culture and I’m thankful for all the chances it has given me! What is Finnishness to a Finn? If you ask me, or pretty much any Finn around, there are certain things that will always show up: sauna, sisu, salmiakki. The “Three S’ of Finnish Survival”, if you will. But those three words are already quite well known and connected to Finnishness, so why wouldn’t I look into some other concepts that define a Finn? Aside from valuing our personal space we also value the space around us. Finland is the eighth largest country by area in Europe yet our population is way smaller than any of the countries of the same scale – and even out of that the majority is concentrated in the southern coastline, leaving the northern half mostly natural and sparsely populated. Even in cities you can usually reach a forest quite easily, without the need to travel for hours on end. It isn’t unusual for us Finns to spend our holidays in the nature, away from the constant rush and stress, possibly relaxing at a desolate mökki cottage where the nearest neighbour can be kilometers away. After all, being constantly near other people can be very draining for a Finn! Finnish pride is a concept that manifests in several ways. First of all, Finns are awfully proud to keep their face and will not ask others for help. In any situation. Ever. If you see a Finn fall during winter they won’t wait for you to help – no, they glance around to see if anyone noticed, then scramble on their feet and pretend it didn’t hurt a single bit. Finns are also very proud as a nation, which shows especially well whenever our weird little nation gets recognized in the world news, referenced in a work of art, or – and this is the real deal – whenever Finland beats Sweden in any sport ever, but especially in ice hockey. 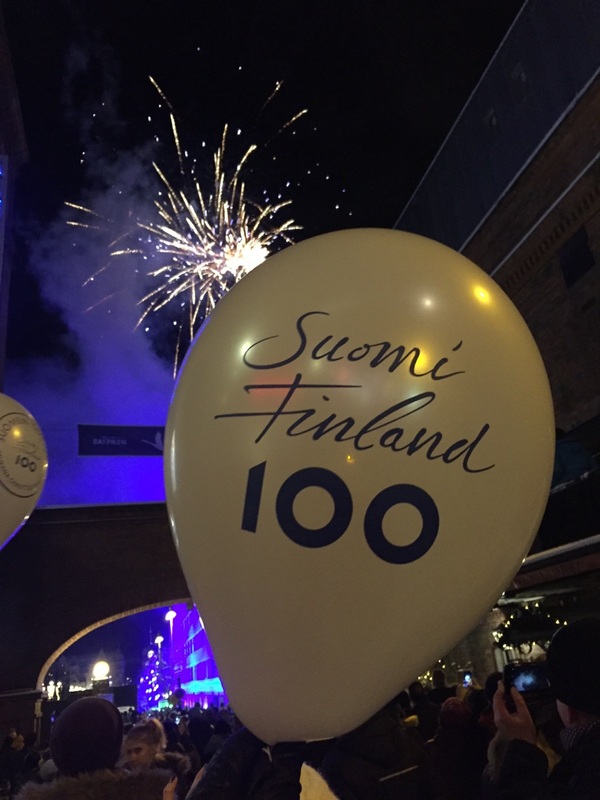 A common phrase for these occurrences is “Torilla tavataan” – “We will meet at the market square”, which means a great celebration is in order. Let’s face it, we just love our coffee. And not just any coffee, but the kind that doesn’t taste quite as rich as southern European dark roast, that makes your hands shake after a couple of cups, and that can be consumed without milk or sugar but only by those who have a stomach of steel. Perhaps it comes as a surprise, but Finland is on the top of the list of biggest coffee consumers in the world! Nowadays several different blends and special espresso-based coffees have taken their place in the café blackboards, but when it boils down to it, it’s the good old, slightly bitter cup with milk and/or sugar that really defines the Finnish coffee scene. When I first got to Finland, I was amazed by the gorgeous scenery and how Finnish culture closely intertwines with the nature. The country boasts having the highest number of lakes in the world, which amounts to 187,888 official ones, and Finns like to gather at their cottages by the water to enjoy their holidays with quietness and relaxation. In the winter when everything freezes over, a greatly enjoyed traditional activity is called “avanto”, which can be translated as “hole in the ice”, since Finns swim in a hole in a frozen lake, and it is usually paired with the other national love: sauna. Whether it’s sauna or ice bathing, it shows that Finns always take it to extremes and from that they have trained themselves to be strong, hardy, resilient and determined or “sisu” – the untranslatable concept proudly used by Finns to describe themselves. There is also a significant number of forests in Finland and Finns also enjoy spending their time there, the activities mainly consist of walking, running, berry or mushroom picking. 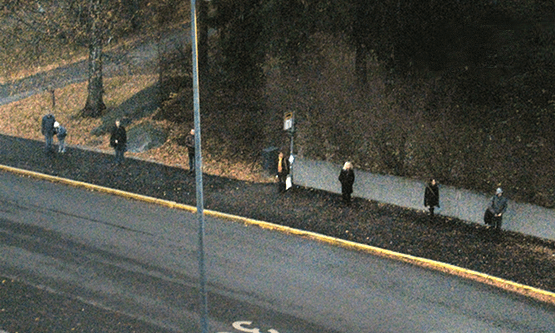 They even have a law called “jokamiehenoikeus” or “everyman’s right” that ensures everyone can wander around forests. Another interesting fact about Finnish culture is that it is home to many eccentric competitions such as swamp soccer world championships, berry picking world championships, mobile phone throwing world championships and wife carrying world championships. Additionally, Finland is where Moomin, Angry Birds and Nokia came from. Its northern city Lapland is also known as home of Santa Claus. As I mentioned above, I did not know a thing about the Finnish language and when I first came here and heard the speech around – the first thougths were that Finnish sounds just like some Asian language – Japanese or something. All these Ä and Ö on the signboards were amusing and unusual to me. It actually felt like a language of the aliens from outer space. 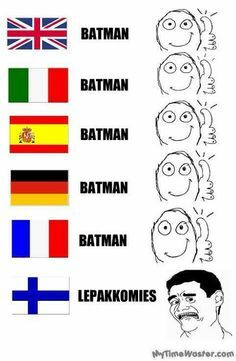 Indeed, Finnish is like no other! It has almost nothing in common with the most languages. But I gotta say – it was surprisignly easy to learn. Most people claim that Finnish is extremely difficult, but my opinion is – yes, the words are unusual, but it the grammar is very logical and it doesn’t have genders, yay! All in all, the Finnish language is unique and beautiful, it’s soft and pleasant to the ear. Of course it has its challenges, but I’m used to it and I like Finnish very much. I use it everyday at school and work and I’m happy to know such a rare language. In the picture on the left you can see one of my everyday struggles. The locals may not always notice this, but Finland is one of the best places to live in the world. It also gives incredible opportunities for people living here of any age and occupation. I was surprised, and I still am, how this country is able to use and allocate the resources making it possible to help students, unemployed people, people with disabilities and so on, just as an example. It is felt that the environment for life is made for people considering their needs. A culture of caring is felt in different spheres of life, in big things and the details. This topic can be discussed endlessly, so let’s move on. I don’t agree at all! I believe that this is just a stereotype that the most people just keep repeating. 99% of Finns are friendly and talkative enough. I really like Finns – mostly they are positive, responsible, rational and punctual. I like their love of hockey and coffee. Since I moved, I started to watch the games and drinking coffee everyday – true story! The culture had a sighnificant influence on me and I don’t mind. Everything is relative and gets to know by comparison. All these things I took from my experience, but I’m sure you’re going to agree with some of the points. P.S. : Thank you for everything, Finland. When I think about Finland and Finnishness following words come to my mind; honesty, trustworthy and safe. Finns are almost always described being honest. Honesty is greatly valued in Finland and it is expected from everyone. Finns are taught since childhood that lying is bad and being honest in any situation is the best way to go. Honesty is highly valued in any relationships, whether it is between friends or business partners. This makes Finns ideal to work with. Being honest, makes Finns also trustworthy. If a Finn promises something, they will keep their promise. For example, if something needs to be delivered within two days, Finn will deliver it within two days. Finns expect that they can trust a person the same way the person can trust them. Trusting people is so common in Finland that we sometimes forget how lucky we are that we can trust other people’s promises. Safety is a word that is associated a lot with Finland. Finland is known for being safe country to live in and Finns are proud of that. For example, in smaller towns people leave their front doors unlocked and trust that nobody tries to come inside. There are barely any situations where I did not feel safe in Finland. The importance of safety can also be seen in things like safety during plane or train rides, in amusement parks and during festivals or concerts. It might seem that Finland has strict regulations and rules but they are there to make sure that Finland stays safe. Yeah, judging by the title alone, this text is going include starker stereotyping and more heavy-handed symbolism than a Finnish joke book containing nothing other than jests about swedes. For a good while of my younger, adolescent life I didn’t pay that much attention to how my mind came to be the restless, nihilistic beehive that doesn’t give me a moment’s peace, yet as I came to know people outside of my national consciousness of rye bread and wife carrying, they offered me insight on how peculiar and occasionally simplistically insightful our small little nation beneath the northern star can actually be, even if our tongue sounds a mix somewhere between Sindarin and R’lyehian. And yes, that wonderfully nerdy comparison is an actual sentence from my foreign friend’s mouth. Stuff like phone throwing competitions, air guitar championships, cultural significance of “kalsarikännit”, aforementioned wife carrying and downright abysmally confusing amount of flag days are minor local oddities that always catch an eye of those who are not that accustomed to these latitudes, but they still often remain as ephemeral oddball attractions. Those are merely the results of the “Finnishness”. I try keep the actual quotations in appropriate minimum, but what I have come to gather from the feedback of my friends outside of Finland, our charm lies in emotional honesty. We are stoic, serious people in work or whenever it is required and are willing to express our utmost jubilancy on the moment of simple, individual elation or when our small country raises to the world stage for that beautiful 15 minutes of stardom as our team wearing the lion sigil on their chests have managed to put a rubber puck into a net in an ice rink. We drink, rejoice, regret going to work next morning, we start planning for our summer holiday, continue working, rinse and repeat. Yet low and behold: We are content. We are a small nation. A freaking miniscule entity in a stage where United Nations cover 193 countries under its banner. By some miracle this little slice of the north has gained a reasonably respectable authority among other countries and much of it is thanks to that straightforward cultural identity and sauna diplomacy that has to be the one word that defines Finnish political program during the Cold War. God, you just got to love history. Others compare doomsday weapons and space programs, we Finns pool in our resources and have structured our diplomatic channels to go through a sweat box that forces even the toughest men to open up their souls. If my that last sentence would be taken out of context, some might consider us Finns as sort of deranged. Well, yeah. We are actually proud of that. Midnight sun and dark, lightless abyss of winter months would drive anyone insane, we just have a couple thousand year head start and we have found a way to capitalize it. Slight insanities keep life fresh and straightens the perspective on what actually matter. We are a small, stubborn, to many seemingly hostile collective of mämmi-eaters, reindeer breeders and people from Rauma among others, but besides that we appreciate honesty, hard work, unity and that spark to jump right into that madness that makes life worth living. Also hockey. Hockey and beer. And salmiakki. More trees and more lakes. There is no escape.